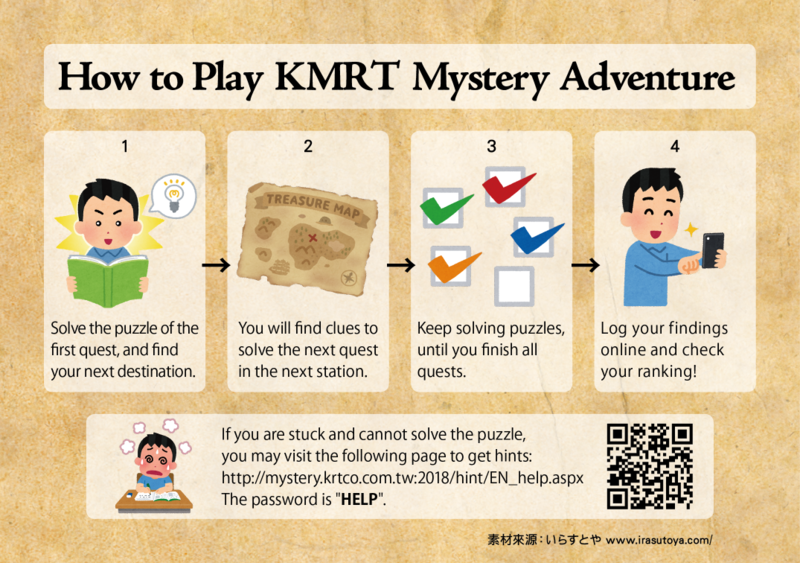 The "Kaohsiung MRT Mystery Adventure" is a real-world puzzle solving game using the Kaohsiung Metro Rapid Transit system. This game is created by Moaideas Game Design for the 10th anniversary of the Kaohsiung MRT system, and is the first officially sponsored Metro puzzle solving game in Taiwan. Players of the game will be traveling around Kaohsiung via the MRT system, and experience the city through the unique story provided by our game. An epic trilogy that will be delivered in 3 parts from 2018 to 2020, what wonders would the first installment “Episode I – The Lost Station” be waiting for you? "Wow, what a sunny day in Kaohsiung." A couple appearing to be traveling tourists walked past me. They were complaining about the temperature and caught my attention. "Do you think this Legend is true?" The gentle looking man whispered to the female companion next to him. "Messages given from The Organization cannot be false. This is a huge secret...." The girl wearing sunglasses said while taking a sip from her drink. "It has been a while since this was first known to us, but fortunately the puzzle is yet to be solved. I heard many are chasing this lead. We have to hurry..."
The man urges to his companion while busy sorting out bags of luggage. She was trying to shade herself with her hand to block the sun even with the sunglasses. Although it’s not polite to listen in, but what is this "Legend"? "Organization"? "Secret"? I have always been fond of mysteries, and I am well known for my curiosity, and these keywords draw my attention reflectively. I try to keep up with them, so I can continue to eavesdrop on their conversation, and maybe find out what they are trying to solve. However, the couple was whispering in a low voice with heads together, and hurried through the entrance of the R9 Central Park Station, weighed down by large and small bags. "Forget it; I should just mind my own business, since curiosity will kill the cat." I was a bit disappointed and mumbled to myself. But as I was just about to leave, I saw a package the tourists were just handling on the ground. Must have fallen in their haste to leave. It is heavier than it appears, and seems to be stuffed with bizarre items...? Vending Locations: Metro Station R9 Central Park, R10 Formosa Boulevard Souvenir Shop, R11 Kaohsiung Main Station Souvenir Shop, R16 Zuoying Travel Information Office. This game is not limited to one person to solve the puzzles, but the commemorative 24-hour MRT card that comes with the game is limited to one person use only. Other cooperative players can purchase a generic 24-hour cards from the MRT station service desk. 1. This game may be played by more than one player, but the Limited Edition 24 Hours Ticket included on the left can only admit one person for the Kaohsiung MRT system. For extra players that want to play together, please purchase generic 24 hour tickets from the information counters of each station. 2. Average game time is 4-6 hours. Note that some puzzles can only be solved during the operation time of the Kaohsiung MRT system. 3. Players should pay attention to their own safety and keep an eye on their belongings during gameplay. The Kaohsiung MRT is not responsible for any accidents or lost items during the game. 4. 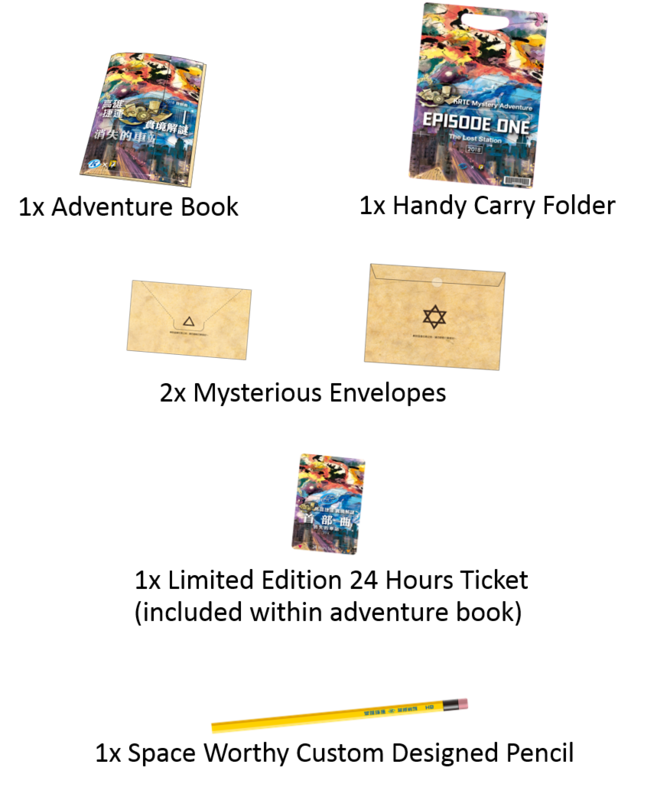 Please keep everything included in the adventure kit. You never know when you might need them. In case of damaged or missing parts, the retailer booths selling this kit should have replacements. 5. Although you don’t need a smartphone & internet connection to play this game, you will need to access our website to get hints and register your rankings. Feel free to use the complimentary Wi-Fi hotspots available in all Kaohsiung MRT stations. 7. 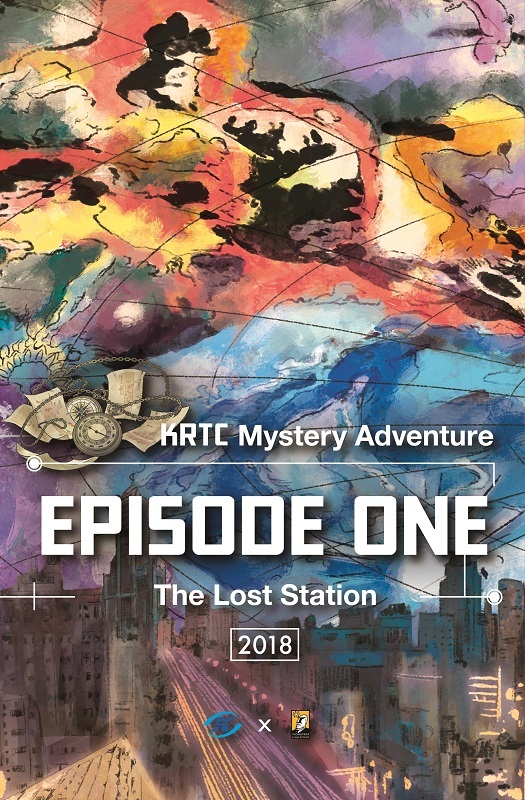 A mysterious force has forbidden all KMRT station personnel to assist players in puzzle solving. Please do not ask the staff for any hints or clues for the game. Be a good chap and please do not reveal the answers to the puzzles on social media!